Weight loss and diets are two of the most talked about subjects ever. If you look at the popular magazine rack near the supermarket checkout, you will probably find some article listed on the cover that deals with dieting, losing weight, or some star who has either gained or lost weight. The subjects have become so pervasive that it is hard to even shop for food without thinking about serving size, calories, and healthy content. It has taken a lot of fun out of food! The two concepts work together. It is hard to lose weight without watching your diet, the foods you eat. Most diets are geared toward people who want to take off weight, but some people do have trouble gaining weight, and keeping their weight up to normal. However, in most cases, the word "diet" is applied to those who want to reduce their overall weight. A diet must, in fact, be something you can live with, because if you restrict your food intake drastically, it only sabotages your efforts as the body's own natural survival mechanisms go into action. Your metabolic rate gets reduced and weight loss becomes more difficult as the body tries to survive. It is better to add exercise than reduce calorie intake below about 1800 calories a day. If you go below 1200 calories per day, your body will react negatively. The best plan has always been a balanced diet with enough calories for energy, combined with some moderate exercise. Exercise is also important for losing weight and staying fit and healthy. You do not have to kill yourself to get a good workout, in fact many over do it and then quit all together or injure themselves and have to quit, and this is the stupidest thing I ever heard. Why not take the simple approach that humans will do those things readily that they associate as positive. All of us have some form of movement that we like and a lot of aerobic activity, that which raises the heart rate to a fat burning level can be low impact and does not have to be so hard that you miserable before, after and during. After exercise we should be invigorated and feeling good, not lying on the floor ready to pass out. The other thing to keep in mind is that a proper diet never ends. It is a lifelong plan, and must be easy enough to follow almost without thinking. The body will slowly shape up, and that is the best way to diet. 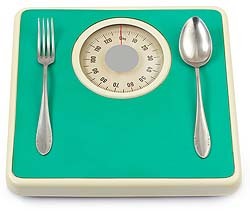 Fast weight loss is usually very undesirable, however wanted. Learn more about weight loss, read tips and guides such as, 3 Easy Workouts for weight loss and browse all types of free weight loss plans with rules and allowed foods at Free Weight Loss Plans.